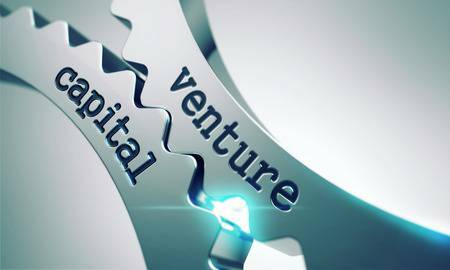 To kick off 2019’s Winter Pitch Season, eight South Florida companies will be presenting at the Florida Venture Forum’s 2019 Florida Venture Capital Conference Jan.31-Feb. 1 at the Vinoy Renaissance Resort in St. Petersburg. Highlighting the conference will also be keynote talks by hedge fund manager, developer and sports team financier Jeff Vinik, who has been among those spearheading Tampa Bay’s entrepreneurship hub building efforts, Patrick Goddard, president of of Brightline, and Umut Tekin, co-founder of Miami-based ParkJockey, which reportedly reaped a multi-million investment from SoftBank. Find out more about the conference here. CentralBOS (www.cbos.com ), Boca Raton, provides a SaaS based Business Management Platform with all the tools needed with accounting at its core to allow owners to efficiently run their business in real time. Containerize-it (www.containerize-it.com), Homestead, provides technology and an app to disrupt the massive final mile problem of the land based global freight industry. 8base (www.8base.com ), Coral Gables, greatly accelerates software development assisting businesses with digital transformation. Its tools equip front-end developers with full-stack capabilities. EPICA (www.epica.ai), Miami, is the world’s first Predictions as a Service Platform that uses online and offline data to track, analyze, and predict consumer behavior “journeys” to drive bottom-line sales and generate core business efficiencies to retailers, travel and CPG companies. Lice Troopers (www.licetroopers.com), Miami, is engaged in the lice treatment business. The all-female team operates 7 locations — 5 in South Florida and 2 recently opened locations in the Orlando area. Mela Artisans (www.melaartisans.com), Boca Raton, focuses on traditional handcrafted, artisanal products with a contemporary design twist. Targeting the style-savvy and socially-conscious, the company has achieved strong omnichannel distribution. Neocis (www.neocis.com), Miami, developed Yomi, the and only robot-assisted surgical system for the dental market. It enables surgeons to plan a case prior to surgery and then provides visual and physical guidance throughout the procedure. Revolve Technology Company (www.driverevolve.com), Delray Beach, is a vehicle subscription platform that enables customers to experience the most sought-after new vehicles on the market without the commitment or hassles of traditional ownership.